We love Tsavo: The bush, its wildlife and its people. We dream of seeing Tsavo and its unique beauty thrive for many generations to come. 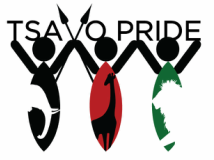 Tsavo Pride started in June 2012 in response to the growing ivory and bush meat crisis in the Taveta area. We could not address these crisis without also addressing the lack of basic needs and economic opportunities within the community. This pushed us to find a more holistic approach to fighting poachers. With the support of a few committed community members, donors and volunteers, Tsavo Pride was formed. Tsavo Pride is a non-profit organisation covering community areas surrounding the Southern end of Tsavo West National Park. We work together with community to protect our environment.